Introducing a new model for community gardens and urban food growing called The Sharing Garden. Friday April 13th, 2018 at Blandford Nature Center 9 a.m. - 4:30 p.m. with optional happy hour to follow. More infomation and registration details can be found at http://www.urbanrootsgr.org/ by clicking on the yellow banner at the top of the homepage. Community gardens are a beautiful and inspiring notion. It's easy to imagine the benefits of people working with the soil, planting, cultivating and harvesting. Yet, we have all driven past abandoned community gardens in Grand Rapids, so why aren’t they working? 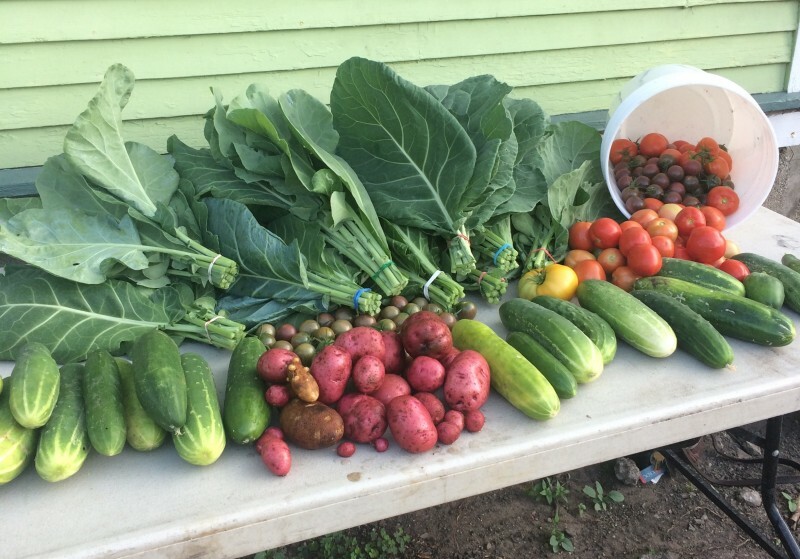 Urban Roots, a Community Farm and Education Center located in SE Grand Rapids has spent the last three years diving into this question and developing a new model for community gardens called The Sharing Garden. The traditional community garden is made up of individual spaces where people can rent a plot for the season and grow food. 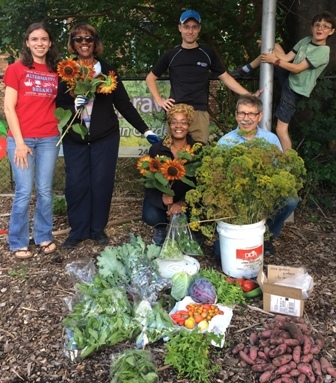 Urban Roots’ Founder & Executive Director Levi Gardner jokes, “Sometimes we call community gardens individual plots in adjacency because people are working alone in their space and community gardens often do not foster many opportunities for people to connect." Despite the excitement and enthusiasm that these projects start with, an enormity of challenges await community gardens that are often not anticipated. Program Manager Jenny Bongiorno says “Year round, Urban Roots receives questions and requests for support from community gardens who are struggling with similar issues such as; developing opportunities for community engagement, keeping up with garden maintenance and irrigation, knowing what to grow when, keeping gardens full of food and using space efficiently, keeping participants engaged throughout the entire season, and knowing what to do with the food that is grown, especially when there is surplus." 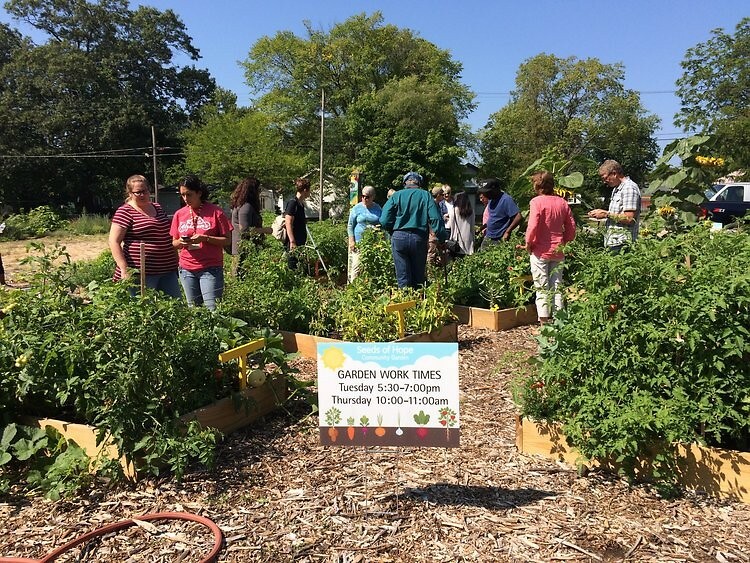 The Sharing Garden model for community gardens is different because it focuses on people doing the work together, sharing the harvest, developing real relationships, and having fun while doing it. Urban Roots believes that this model, focused on placemaking and people coming together, can change shared garden spaces in Grand Rapids for the better; growing more food, with less work, and cultivating true communities of people working side by side. Thanks to the support of the Grand Rapids Community Foundation, Urban Roots is thrilled to be hosting a full day of training for individuals, community organizations, schools, and nonprofits to learn more about this new community garden model. In the training, Urban Roots will break down and address the common problems of small scale, community based gardens and teach effective ways to set up, develop, promote, and cultivate successful shared garden spaces that will operate in long standing success. This training will take place on Friday, April 13th, 2018 at Blandford Nature Center. Participants can expect to learn how to apply The Sharing Garden model to an existing community garden, receive the support and education necessary to start a new community garden, feel empowered to move past the common challenges facing community gardening initiatives, and so much more. More information and registration for The Sharing Garden Training can be found on Urban Roots website www.urbanrootsgr.org by clicking on the yellow banner at the top of the homepage.